Scott joined Kieckhafer, Schiffer & Company LLP in 1993 with a desire to combine technical expertise with a focus on client service. 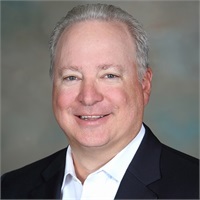 Scott brings strong multistate and international tax experience, including experience in the structuring of both inbound and outbound business operations. He works extensively with clients in merger and acquisition transactions and has been involved in numerous due diligence engagements. He has helped several companies as an outsourced Chief Financial Officer overseeing client financial efforts with an emphasis on streamlining procedures and overall improvement of systems in order to enhance profitability. In an effort to offer full financial advisory service to his clients, Scott obtained licensure as a Registered Representative (FINRA Series 7 and 63).